A US company developing a tiny wing-flapping spy robot under a contract from the Pentagon’s research arm DARPA, has released a video of their prototype in action. So far the California-based firm AeroVironment have reached a milestone, managing to fit in a power source and control system on their tiny drone, and making it take into the air. “It is capable of climbing and descending vertically, flying sideways left and right, as well as forward and backward, under remote control,” says the company. The breakthrough, reached sometime in December 2008, won it additional $2.1 million of defense money. 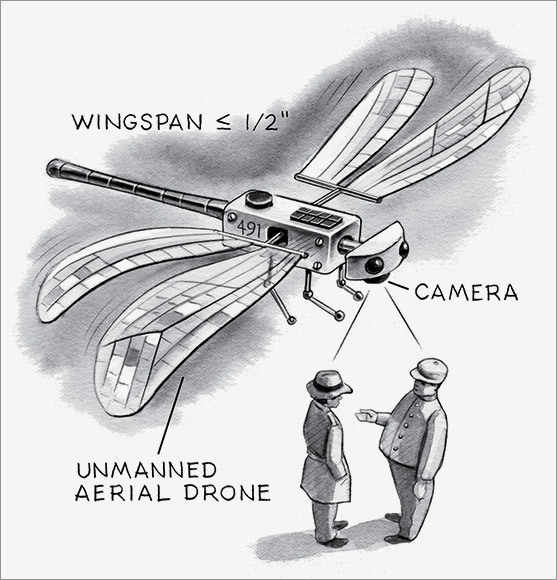 The Nano Aerial Vehicle (NAV) uses a pair of wings for propulsion and maneuvering. The US Department of Defense wants the resulting machine to be 7cm long, weighing just 10g, and able to withstand gusts of wind of up to 2.5 meters per second. The microdrone, meant for indoor missions, will be used for surveillance, and probably even as a stealth strike weapon, if armed with poison or explosives. Producers now need to boost the NAV’s maneuverability and energy efficiency. So far it can hover only for less than half a minute. Previous Previous post: Banning the sale of dogs and cats.